Mix remaining ingredients in a small bowl with a whisk. Add sugar, is desired to cut the vinegar taste a bit. Toss cabbage and carrots with vinaigrette. 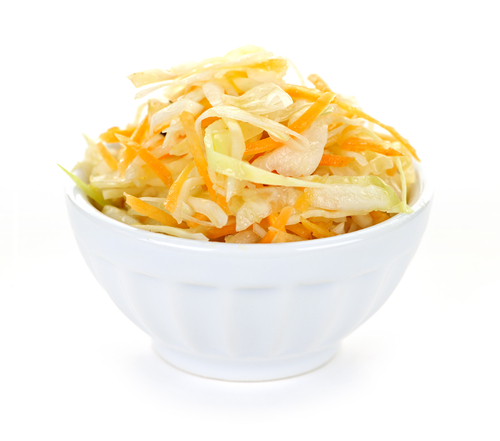 Allow coleslaw to rest in refrigerator for a few hours before serving.